Maison Trèfle in Miracle Mile / The Grove / Museum Square large upper 1 Bedroom. 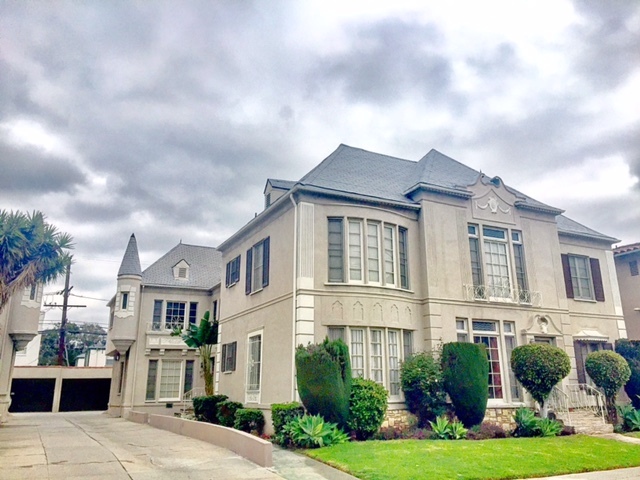 Hardwood floors, high ceilings, formal Dining Room, Original deco tiled Bathroom with stall shower and tub. Stove/Fridge/European Washer-Dryer (no laundry on premises), updated lighting and details. Walk to La Brea/Wilshire/Miracle Mile/Museums/Tar Pits, The Grove, markets, restaurants. Minutes to WeHo Design District, Hollywood, Paramount Studios, CBS TV City, Farmer's Market, Melrose, Just a great location. Available @ $2,750 including parking and Euro Washer/Dryer.